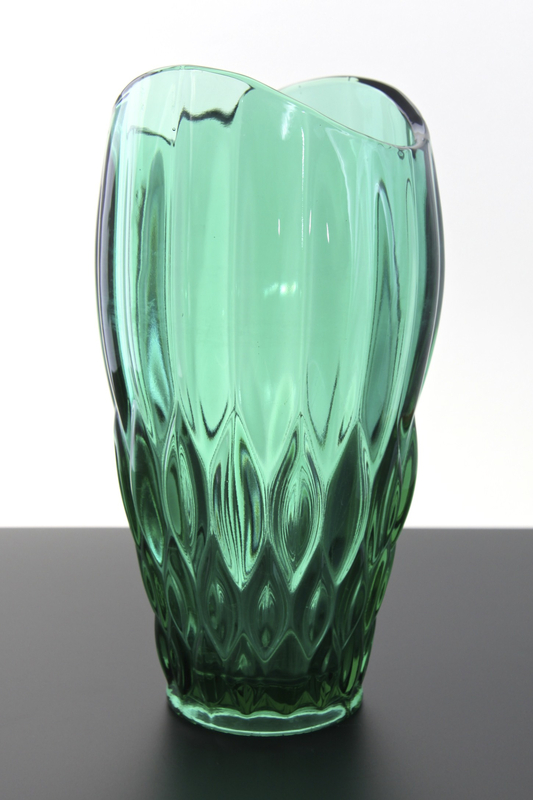 Exbor / Novy Bor Glassworks , Sklo Union, pink, colourless and green cased faceted vase, designed by Pavel Hlava, Czechoslovakia circa 1958. 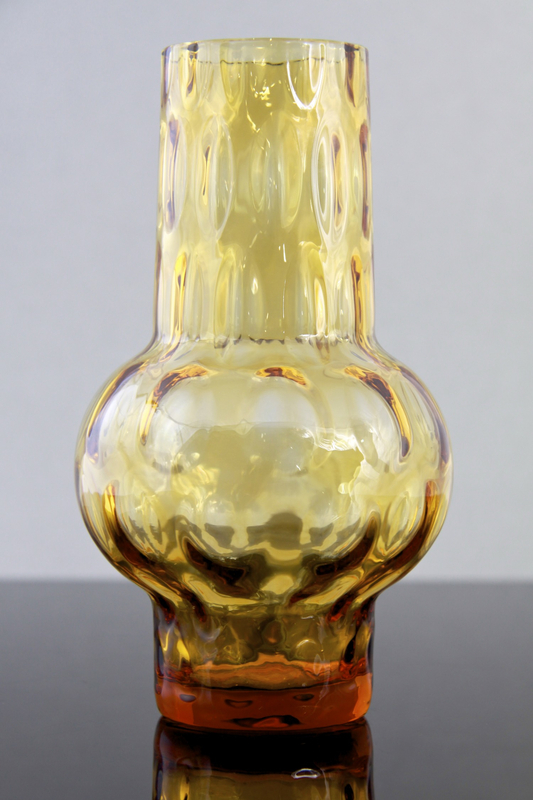 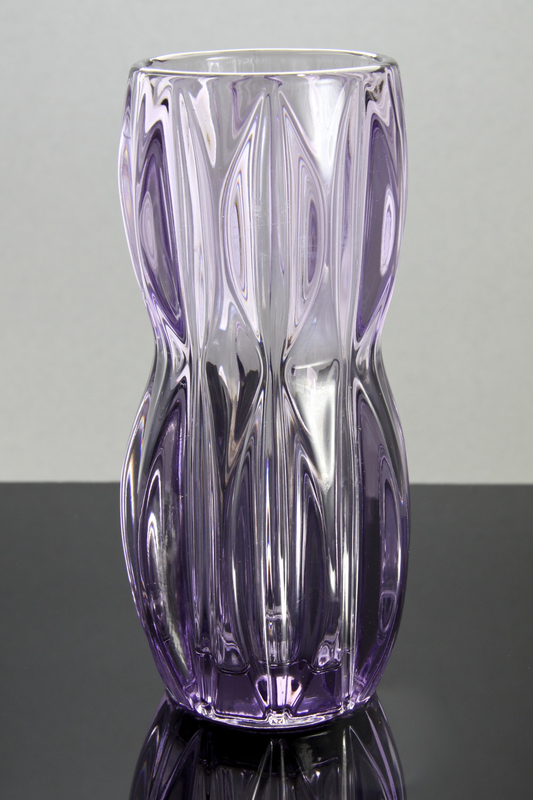 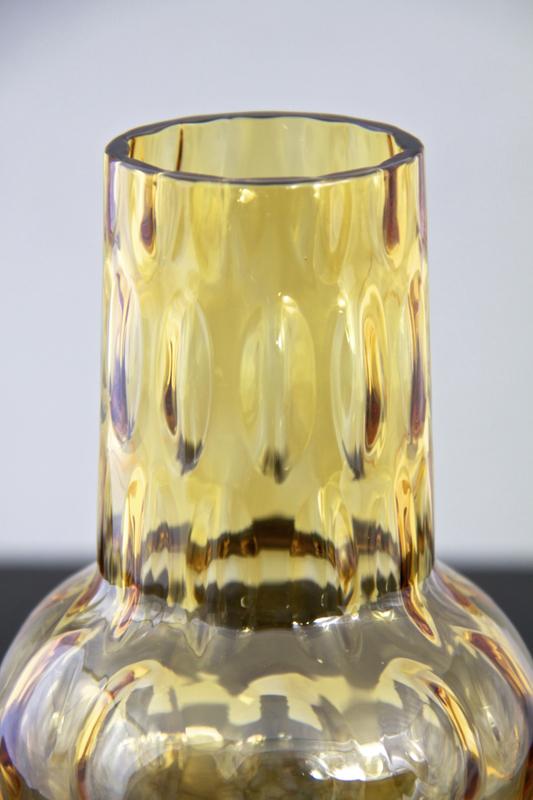 A striking example of the renaissance in Czech glass design in the 1950’s. 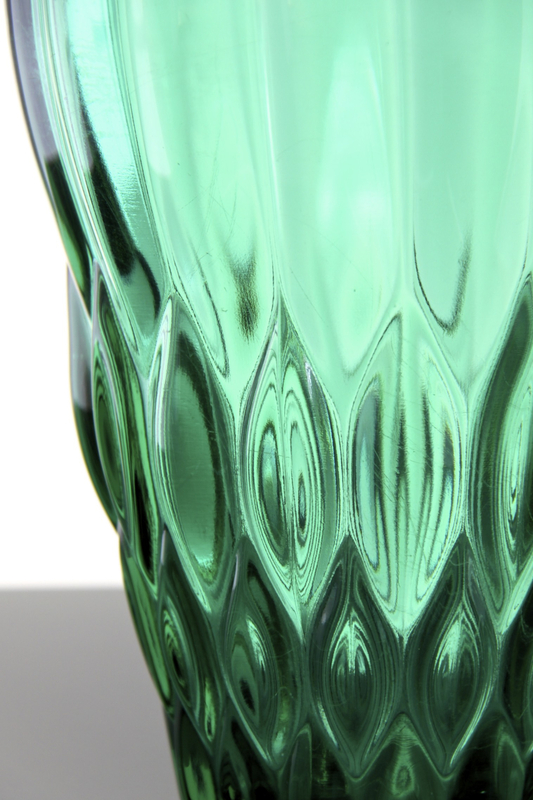 From behind the Iron Curtain, re-establishing the country’s skilled designers reputation for producing unique art glass masterpieces. 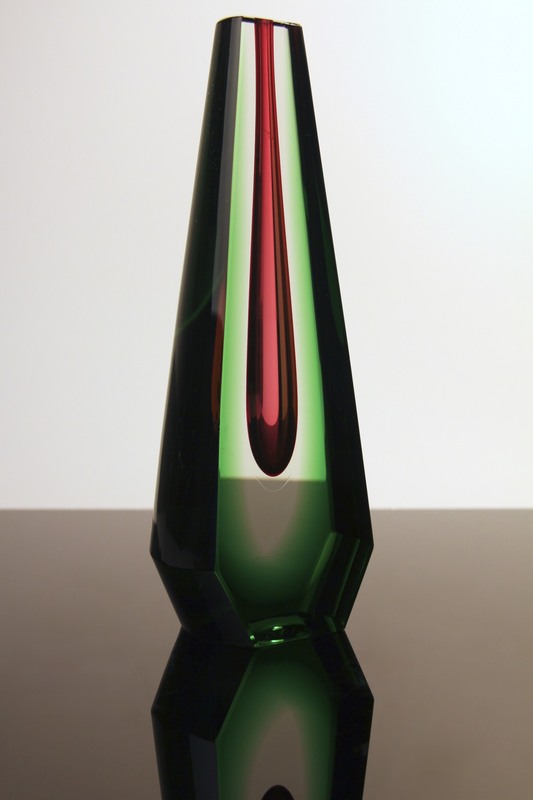 Pavel Hlava designed this range for exhibition at the Milan Triennale in 1957, the first time in over 20 years Czech glass was seen internationally, whilst showcasing their modern products for a modern age and people. 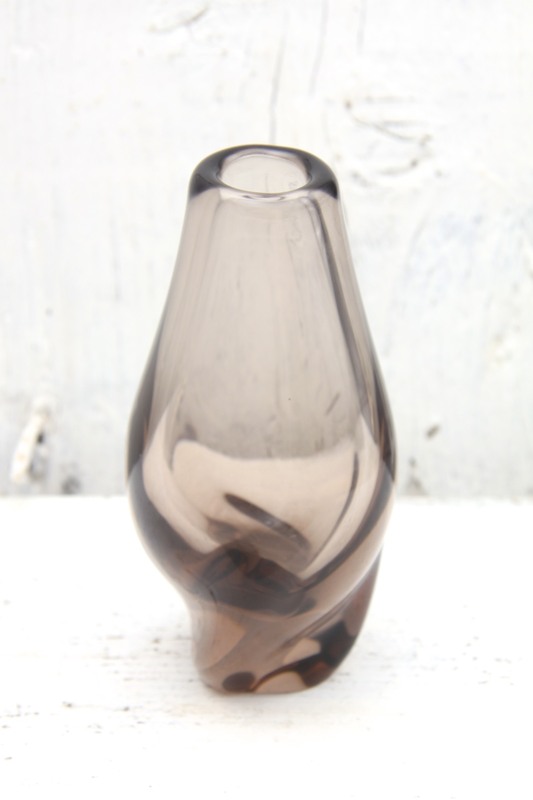 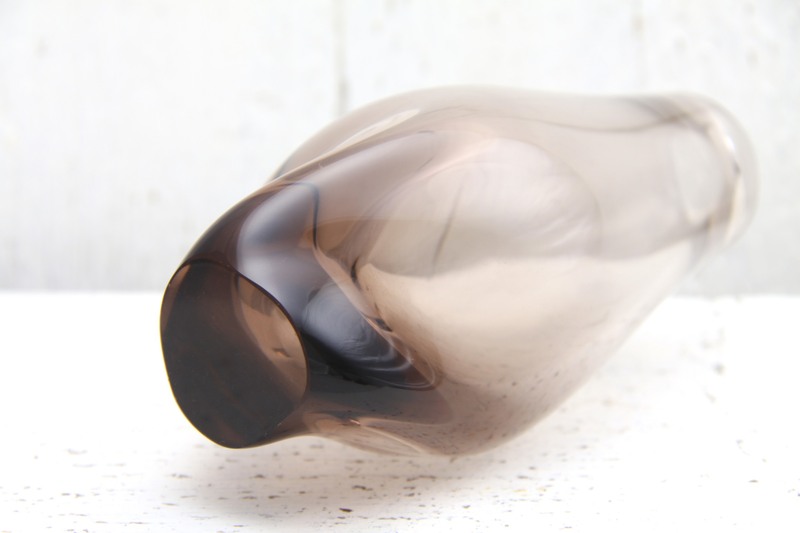 With its monumental form and coloured internal design it is as much a sculptural piece as a functional vase.